Such a cute necklace :] I have a lot of friends that rep NJ constantly but I've never felt particularly attached to it. Maybe I will as soon as I leave haha :P Love the tights too! Oh man, I love mint so much, cute! I'm loving your necklace and this dress! The color of the dress is to die for! How did you keep your tights from running? I have those same tights and the first hour I wore them I had a run in them! 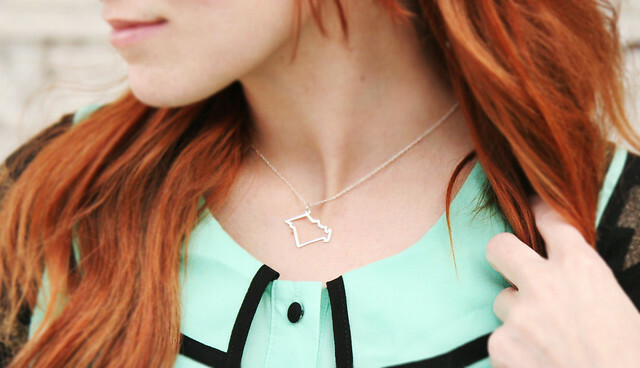 I'm smitten with the state necklace! You look so great in bright colors! Love that dress on you. Yay! Easter crafting sounds so fun! Love love love the necklace. I already have 2 different Wisconsin necklaces, and a WI "Home" shirt (which is amusingly missing a big chunk of the state), but I might need to get a Maya Brenner WI necklace. It's so delicate and fancy-like! I'm a missouri girl and that necklace is cool. your tights are perfect! they add something lovely to this entire look! Great idea, putting a long-sleeved tee under a summery dress! I'm tired of waiting for warmer wear to wear my cute summery things. Instead of 'hands on your knees', it's 'hearts on your knees!'. Stinkin cute! 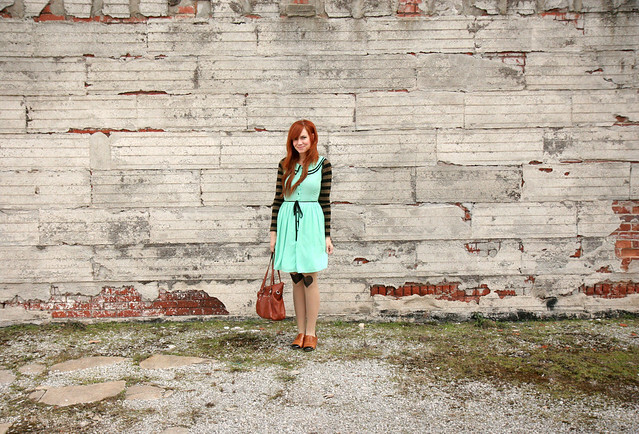 The mint dress looks fab with your hair, those tights would be perfect for hiding my accident prone bruised knees also!! I just love your heart leggings. They are so stinkin' adorable! Happy Easter! Love the tights and your necklace! 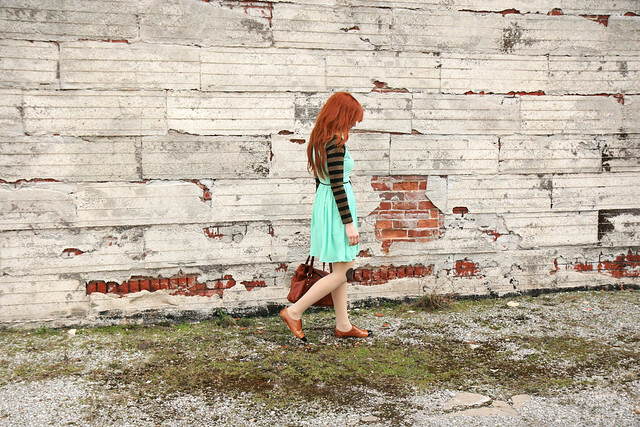 Cute outfit, love the color! LOVE that state necklace, I've never seen a Missouri necklace I liked, having lived in Missouri my entire life, I'd love to have one! That's totally going in my must have list! I love this outfit, the dress looks so pretty with your hair and these tights are a dream! I love state-shaped things (sadly, I live in Wyoming which is a square and therefore rather uninteresting looking for such things). Love the look esp the tights!! 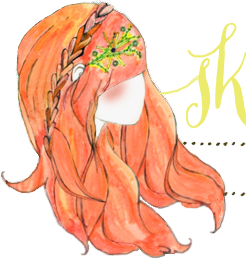 i know i asked before, but how do you dye your hair? love the color so! I am dying, this is so perfect. I think I need tights with some hearts on the knees and a state necklace of my own. Maybe with both my home state and my current state! Check out my blog for tons of great Easter crafts!! That dress is so pretty! That color just goes so perfectly with your hair! I have seen some state necklaces for awhile and I really want a PA one. Adorable. I love your necklace, I've been looking for something similar for my state too! Oh man I definitely do get a mint chocolate feel from this outfit! Your dress is so super adorable and I love the striped top you layered underneath it. Your heart tights are wonderful too.